"chunk clothing" - Blog @ That Awesome Shirt! 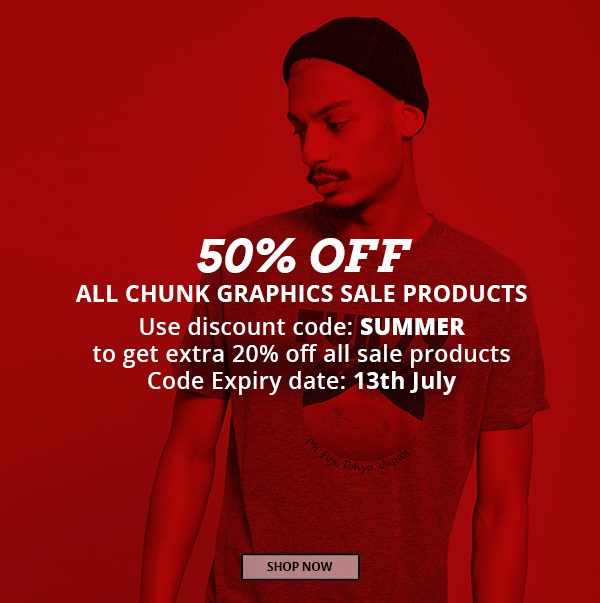 Click here to see our top picks or shop directly at Chunk Clothing. Expires 13th of July, 2017. Stock your cart with our favourites or check out chunkclothing.com. 50% off graphic tees and vests. Offer ends 12th of December, 2013. For a limited period only, from 8th-14th August 2013. Stock your carts with our favourites or check out chunkclothing.com. Expires 22nd of June, 2012. Expires Thursday, 1st of December, 2011. Expires 31st of October, 2011.